Dennis Danielson, author of Paradise Lost and the Cosmological Revolution takes a look at the effect of astronomical discovery on the writings of John Milton. In the twenty-first century, the phrase “planet Earth” no longer smacks of controversy. So indeed, in the late 1650s, when Milton sat down to write his epic Paradise Lost, the status of Earth as a planet was neither scientifically nor popularly anything like a done deal. 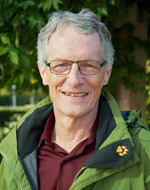 Across the years, professional critics of Milton have routinely underestimated both how hard-won were the advances of Copernicanism and how attuned Milton was to controversies about Earth’s planetary nature. However, Milton’s angel-narrator Raphael, speaking to Adam before the fall in Paradise Lost, postulates a series of “what ifs,” including the possibility that “the planet Earth” holds a “wandering course” about the heavens (Milton knew that “planet” means “wanderer”). When Milton sat down to write his epic Paradise Lost, the status of Earth as a planet was neither scientifically nor popularly anything like a done deal. In short: What if Earth—in addition to the Moon, Mercury, Venus, Mars, Jupiter, and Saturn—is the seventh planet? But by 1640, John Wilkins—an English clergyman and later a co-founder of the Royal Society—put the same question in the mouth of Copernicus as he points to his model, supported by his scientific successors Galileo and Kepler. This picture appears on the title page of a book promising a Discourse Concerning … Another Planet. It would be easy for us to miss Wilkins’s meaning—still fresh, new, and controversial in his and Milton’s day. For that “other” planet is none other than our home and native Earth. 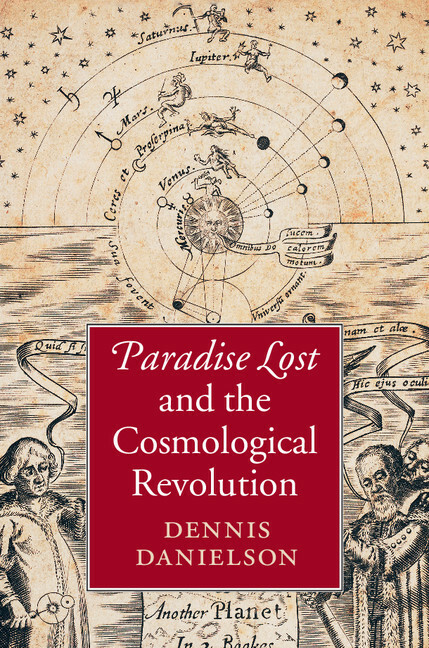 The cover of ‘Paradise Lost and the Cosmological Revolution’ re-uses the cover of John Wilkins’ controversial book that suggested that Earth is a planet. I don’t know if Milton ever saw this title page. He certainly could have seen it, since he wasn’t blind yet in 1640, and the artist who engraved it also made a portrait of Milton himself five years later. But its depiction of the great early modern cosmologists together with a charming graphic of the Sun’s light being shared between Earth and Moon, not to mention all those stars scattering out into the immeasurable distances of space, made it for me an irresistible choice for the jacket-illustration for my book Paradise Lost and the Cosmological Revolution. I hope you enjoy both the book and its cover!